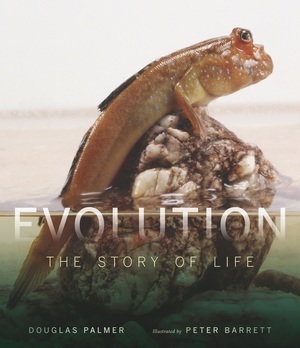 Evolution recreates the 3.5-billion-year story of life on Earth in stunning detail through vivid full-color illustrations and graphics, the latest scientific information, and hundreds of photographs. At the heart of the book is an astonishing, beautifully detailed panorama by renowned illustrator Peter Barrett that, in 100 double-page site reconstructions, offers a freeze-frame view of the communities—from microbes to humankind—that have lived on our planet’s continents and in its oceans. These groundbreaking artworks, based on the most recent findings at some of the most famous fossil sites around the world, are paired with an authoritative and highly informative text written for a wide audience of readers. A landmark project, published to commemorate the 200th anniversary of Charles Darwin’s birth and the 150th anniversary of his book On the Origin of Species, Evolution has been produced in association with the Natural History Museum in London, one of the most important centers of evolution research in the world.The volume includes an index of the hundreds of species shown in the illustrations, introductory articles on evolution, and many other features, making it a must-have reference for all homes, schools, and libraries. Douglas Palmer teaches at Cambridge University and is the author of many books, including Earth: The Definitive Visual Guide to our Planet, The Origins of Man: An Illustrated History of Human Evolution, and The Illustrated Encyclopedia of Dinosaurs and Prehistoric Life. His articles appear regularly in Science, BBC Wildlife, and New Scientist. Peter Barrett is a natural history illustrator, painter, graphic designer, and children's book author.